To load Raw Data, you can either click the button on the tool bar, or go to File > Load logged data. This allows you to load one or multiple .RUN files. 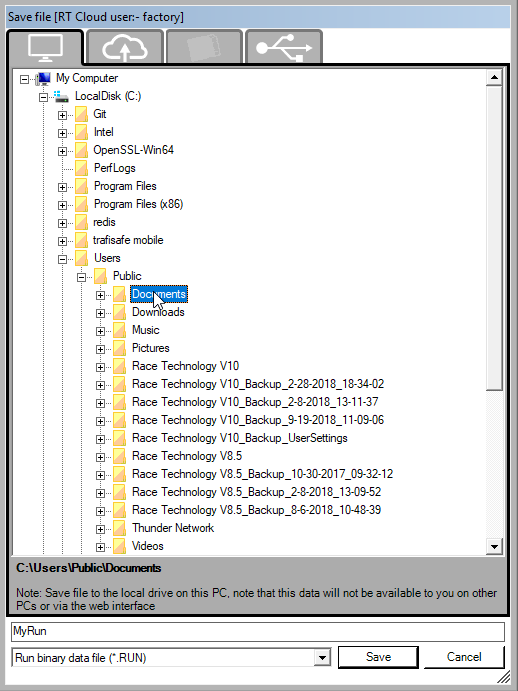 To select a file (or files), click on the check-box to the left of the RUN file (or files) name that you want to select. Double clicking the file name will also check the check box. Once you have selected all the RUN files that you want to load, click "Open". Please note you can only have up to 20 .RUN files loaded at any one time. Please note that it doesn't make sense to compare data from different circuits/courses. When you load two runs of the same circuit/course, then the software will compare the courses and overlay them correctly. If you load two circuit/courses that are over approximately 20km apart from each other then the software will just match the start points and draw them from there. No comparison can be made, other than that of the circuit/course layout. 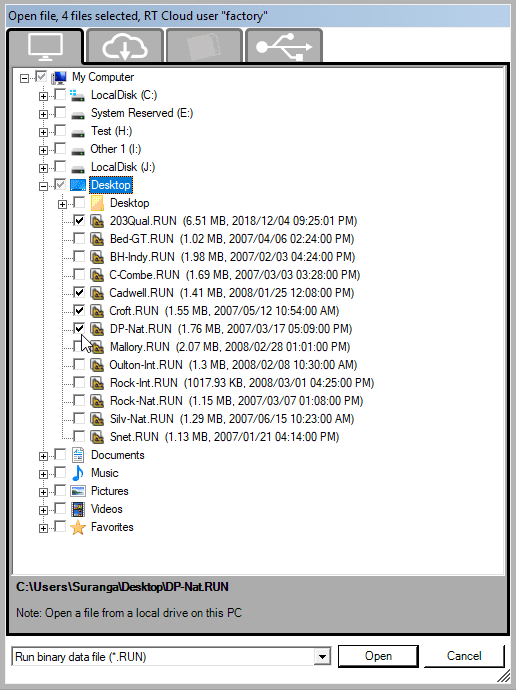 You can browse through the tree structure using expand (+)/ collapse (-) buttons and simply click on the folder name in the tree to set the directory where the RUN file should be saved. 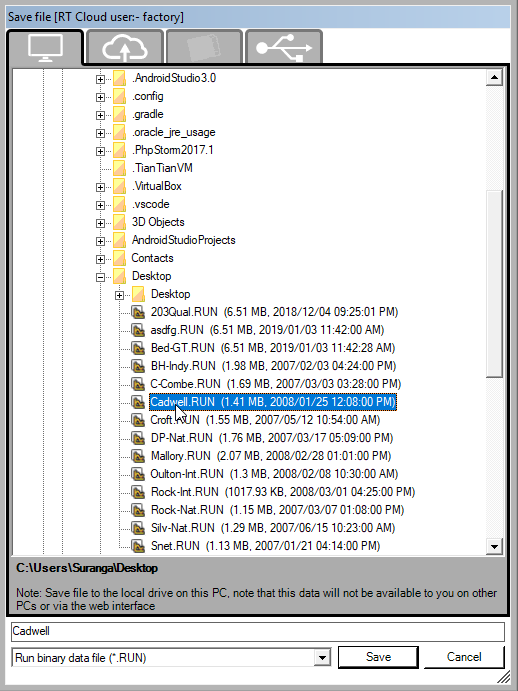 You will see the save directory change when you do this (below the file structure). Then give it a name and click save. You can also overwrite an existing RUN file by browsing to the file, left clicking on it and clicking on save. This will show an overwrite confirmation message. Click "Yes" to overwrite the file.